This exquisitely designed monograph showcases the latest residential designs by one of the world’s leading architectural firms. 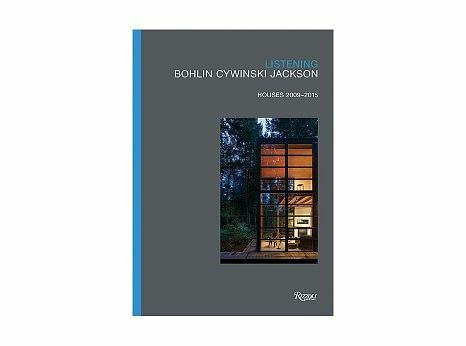 ﻿Bohlin Cywinski Jackson is acclaimed for their sensual, humane designs that celebrate the subtleties of place and the rich possibilities of materials. In this new monograph—published to commemorate the fiftieth anniversary of the firm’s founding—twelve of the firm’s virtuoso residential projects from the last six years are showcased in great detail and depth. Known for their exquisitely crafted houses and inventive use of natural materials, the firm excels at architecture that is refined, yet evokes the sensibility of the surrounding landscape. The striking beauty of each house’s natural setting is captured through stunning photography, and detailed renderings offer greater insight into each project. With essays by Peter Bohlin, Michael Cadwell, Rick Joy and Alexandra Lange.